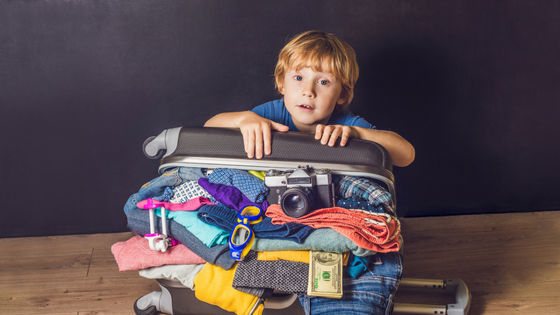 So your little one is ready to go away to sleepaway camp. There are feelings of excitement and anticipation, and that’s just for you! There are also feelings of anxiety, especially when it comes to deciding what to pack. Not to worry, Family Healthcare of Siouxland has you covered. Below are the top items to pack that can help make your child’s experience with sleepaway camp a positive and healthy one! Medications. We can’t stress this enough – don’t forget your child’s prescription medications and instructions for how to administer them. Let the camp know what medications your child takes and how often (a good camp will ask you this upfront). It’s also a great idea to make sure the camp has your physician’s contact information and our clinic’s phone number. Bug Spray and Anti-Itch Cream. Depending where you are in the country, chances are mosquitos and other flying/biting insects will be there too, we know there are plenty of those in Sioux City! Make sure to pack a kid-friendly bug repellant and plenty of anti-itch cream. There are several varieties of anti-itch cream available, our doctors and nurses recommend one with either hydrocortisone or an anti-histamine cream containing diphenhydramine hydrochloride. Sunscreen. Sunscreen is a must. Talk to your child about the importance of wearing sunscreen every day, even if it’s cloudy or overcast. The American Academy of Pediatrics recommends using sunscreens with at least an SPF of 15, which blocks 93 percent of UVB rays, but a higher SPF blocks even more UVB rays – SPF 30 blocks 97 percent and SPF 50+ blocks 98 percent. Don’t forget to pack a lip balm that has SPF in it as the lips are often overlooked! Toiletries. Travel-sized toothbrushes, toothpaste, soap, and deodorant are perfect for this type of adventure! Instruct your child to use them every day for proper hygiene and let them know they can toss them before they come home. The 3-in-1 shampoo, conditioner and body wash are also awesome for saving space in luggage. Combs and Ponytail Holders. Pack enough ponytail holders and hair ties so your child won’t have to ask to borrow one from a bunkmate. Lice happens, but teaching your child not to share combs and hair ties can help keep it out of your home. Extra Socks And Underwear. These are the items where less is definitely not more! Always pack extra socks and underwear especially if your child will be swimming and/or need to change out of wet clothes. A Reusable H20 Bottle. Suggest to your child to fill this up (and finish it) every day to stay hydrated. This is especially important when your kids are being active in hot weather. Stamps and Envelopes. A letter written home, and one received, goes a long way to improving a child’s mental health. Today’s tech-savvy kids are totally intrigued about how the U.S. Postal Service works. It is such a novelty to them and one that they’ll look forward to trying while at camp. You can’t replace the feeling of receiving a letter in the mail with a text. As far as clothing and linens go, check with the camp to see if your child needs to provide his or her own bedding and don’t forget some rain gear (jacket/umbrella) just in case. One last tip for parents, label EVERYTHING. Use a Sharpie to label clothes, devices, etc. A silver Sharpie works great for black or dark-colored items. A positive camp experience is one your child will cherish for a lifetime!